Added viewing an EML file via the Activity Views. Calendar - Agenda View - Added 'UP NEXT' indicator for an upcoming event. 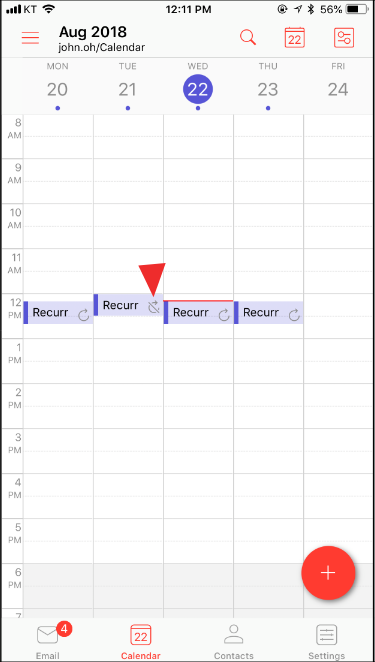 Added an icon showing a broken recurrence occurrence among recurring events. Fixes other bugs and improves performance. When you get an email with EML file as an attachment, if you press it to view this attachment like EML format (a file saved an email), now that Nine would be available to read it right since v1.3.5. In addition, Nine can support for helping other apps to read EML format file by sending or copying to Nine using actions (Send to Nine, Copy to Nine) in the Activity view through EML viewer of Nine from v1.3.6. 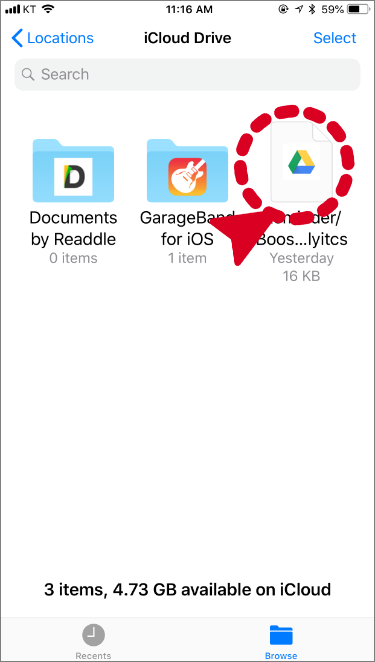 If there is not seen Send to ... in your action list, you have to add this action from More (...). 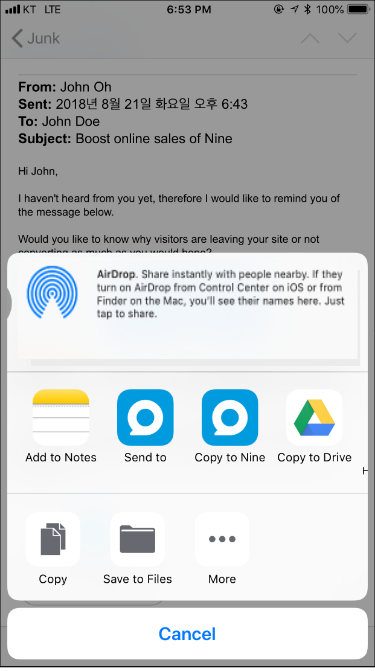 Note that the Copy to Nine (action) will be changed to Open in Nine from iOS 12. 'UP NEXT' indicator & an icon showing a broken recurrence occurrence among recurring events. 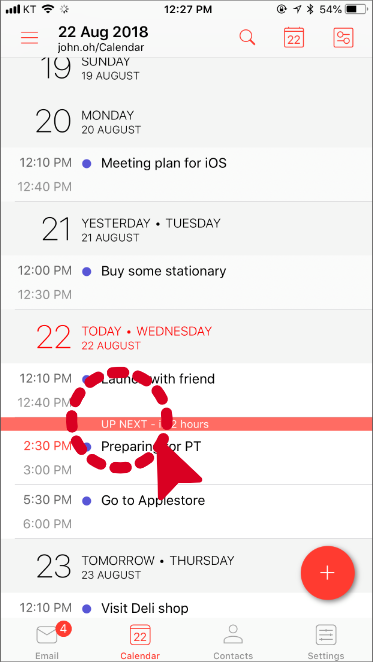 In v1.3.6, small but important indicators and an icon have been added in Calendar. One is to display an icon indicating that the recurring event has been aborted on the calendar, and the other is to add an indicator 'UP NEXT' to display the upcoming events in the agenda view of the calendar.